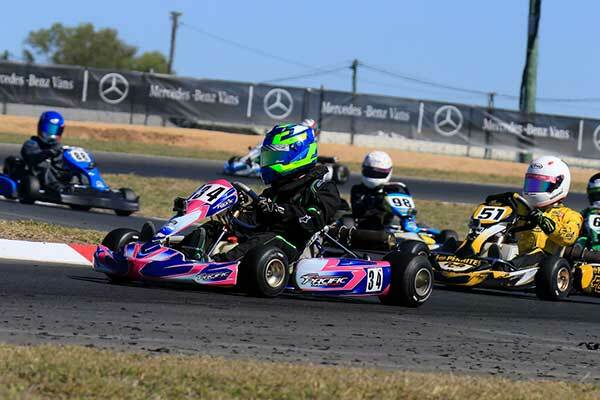 Auckland-based karter Dylan Drysdale was the top-scoring Kiwi at the latest round of this year’s Australian Kart Championship series at Emerald in Northern Queensland over the weekend, crossing the finish line in second place in the X30 class Final and finishing the day fourth in class. Young gun Connor Davison from Hamilton was next best finisher of the six-strong group of Kiwis who made the long trip for the penultimate series round with ninth in the KA4 Junior class. Then came Madeline Stewart from Wellington, with 10th in KZ2, and Auckland Juniors Liam Sceats (22nd), Kaden Probst (26th) and Luke Thompson (27th) in Cadet 12. Drysdale was a factor at the front of the X30 Senior class field from the minute he hit the track, qualifying fifth fastest then claiming two thirds and two seconds in the heats to line up alongside Patrizicorse Ricciardo Kart teammate Marc Tulloch on the front row of the grid in the Final. Though he was slotted back to fifth place on the first lap Drysdale was back up to second by lap seven, where he stayed till the chequered flag, only to be relegated two places – leaving him fourth in the overall round results – for passing under a yellow flag. Just how close it is at the top level in Australia this year can be seen in Madeline Stewart’s qualifying times. Starting from P11 meant Madeline had her work cut out through the heats. In the first she crossed the finish line 12th but copped a penalty for a dislodged nose cone (after contact at Turn 2) which relegated her to 16th. That improved to 13th and 14th respectively in the second and third heats before a hard-won 11th place in the fourth heat. That gave her a P13 start for the Final, just in time for her best start of the weekend, making up two places off the start and setting the fourth quickest lap of the race as she closed in on – but couldn’t quite find a way past – top Australian driver Christopher Hays who ended up ninth. 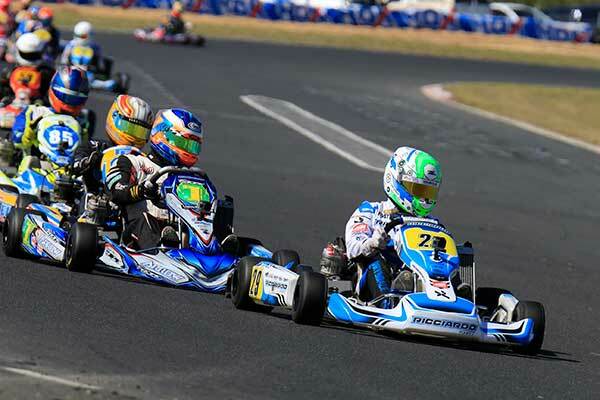 The three Juniors who contested the Cadet 12 class, Liam Sceats, Kaden Probst and Luke Thompson each had a story to tell, the main message just how close and competitive the racing is when you part of a 38-strong field of Australasia’s best young drivers. 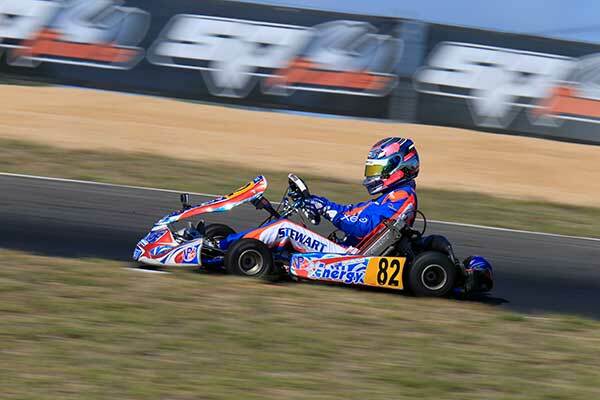 Auckland-based international driver, tuner and team manager Daniel Bray was at the meeting running top Australian KZ2 ace Troy Loeskow (who finished third) and kept an eye on the three young Kiwis from his home club. 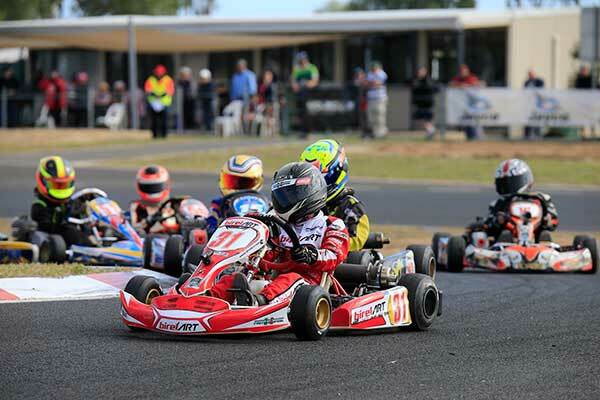 With the penultimate series’ round over for another year all eyes are now on the final round of this year’s Australian Kart Championship presented by Jayco and Castrol Edge in Melbourne between September 01 and 03.